St Albans takes pride in catering for all palates! 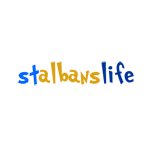 Whether you want to hide away down the historic backstreets and tuck into a satisfying pub lunch; sip a cappuccino while you sit al fresco on the main street; enjoy an Italian meal near the Abbey or simply want good family friendly service for the kids, St Albans really has it all. St Albans is bracing itself for its 14th Beer and Cider Festival, held by CAMRA (Campaign for Real Ale). This will take place between Wednesday 30th September and Saturday 3rd October 2009 at the St Albans Arena. I had passed this recently renovated restaurant several times before I experienced it. To be honest, it looked a bit sterile outside and I assumed it would feel a bit like a class room inside! Taste the essence of life in historic surrounds. Last year, the coffee and tea addicts of St Albans heard that the lower floor of the Town Hall would be converted into a café with outdoor seating. I was really pleased about this as it seemed the perfect location to sit and people-watch in one of the great historic cities of England.